PetroChina Guangxi Petrochemical Company has completed construction of a combined refinery and petrochemical production complex in Qinzhou, a port city in China's Guangxi Autonomous Region. With a 10 million ton per year capacity, the refinery is one of China's largest, and is truly world class, using a highly advanced hydrogenation process, with the main process technologies coming from the USA and France. The refinery has over 10 main process units, including a 10 million ton/year atmospheric and vacuum distillation unit, a 3.5 million ton/year heavy oil catalytic cracking unit, a 2.2 million ton/year continuous catalytic reforming unit, and a 2.2 million ton/year wax oil hydrocracking unit, as well as auxiliary utilities, a tank farm, jetties, a truck terminal, and railway facilities. This refinery processes crude oil brought in from various countries and currently is capable of supplying 8.3 million tons of oil products to China's southwest region each year. The company's long-term goal is to increase annual production to 20 million tons. Owing to its modern central control technology and highly competent workforce, the entire complex can be operated with just over 900 personnel. To manage construction of this plant, the PetroChina Guangxi Petrochemical Company established an integrated project management team with European and Chinese contracting & engineering companies. A total of 10 engineering companies participated in the design work. In September 2010, all of the devices throughout this refinery were started up successfully and all of the products produced complied with design standards. This plant was started up successfully on the first try, and it had the shortest startup time among all of PetroChina's refinery projects. PetroChina aims to optimize the management of its operations at this refinery so as to maximize efficiency and ensure all devices run safely and in an environmentally friendly manner, with long-term stability. Toward this end, Yokogawa provided PetroChina its CENTUM CS 3000 integrated distributed control system (DCS) for controlling all plant processes, the PRM device management system, the ExaOPC server package, an oil movement system (OMS), and an operator training system (OTS), and the company's engineers and project managers worked closely with PetroChina Guangxi Petrochemical Company and associated design institutes and suppliers to ensure a smooth and on-time startup. The presence of inflammable and explosive gases and materials in continuous processes at such large refineries always presents a certain level of risk. To safely manage such processes, an advanced and highly reliable DCS is essential. The implementation of this system for this plant's proprietary technologies required a depth of engineering experience and a knowledge of the equipment used in such processes as steam production, hydrogen production (pressure swing adsorption), nitrogen generation (air separation), and wastewater treatment. All of the plant's process equipment, utilities, and storage and transportation facilities (except oil loading and unloading facilities) are monitored and controlled from its central control room (CCR). 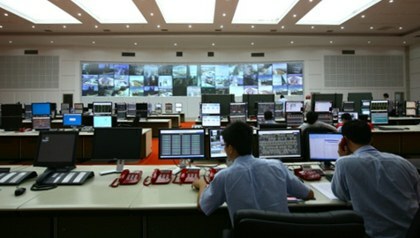 A field cabinet room (FCR) was also set up to house the plant's I/O cards and controllers. Communications between the human interface stations (HIS) in the CCR and the controllers in the field cabinet room pass over high speed fiber optic cables. There is also a field control center near the refinery's wharf that houses cabinet and operation rooms with HISs. Data from each of these locations is transmitted wirelessly to a real-time database. Staying on top of what is happening throughout this massive refinery complex and having all the information at hand that is needed to respond quickly and appropriately is absolutely essential. This is made possible by Yokogawa's ExaOPC server, which seamlessly uploads all process data from the CENTUM CS 3000 DCS to the refinery's real-time database. 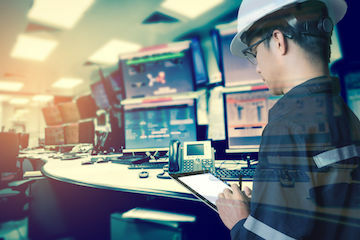 A manufacturing execution system gives the refinery's managers complete access to all this data, allowing them to monitor all processes from the receipt of raw materials to the storage of refined products and make the right decisions at the right time needed to optimize the refinery's operations. Many of the operators at this plant are new hires and fresh out of university, without much plant operating experience. Even those who have some experience need to familiarize themselves with new devices and new technologies and processes, and tend not to have experience working at such a large-capacity facility. Therefore, it is very important for them to receive training in this refinery's processes using an OTS. In addition to being used in training, such a system can be used to test DCS logic and control loops to identify problems and eliminate potential risks. 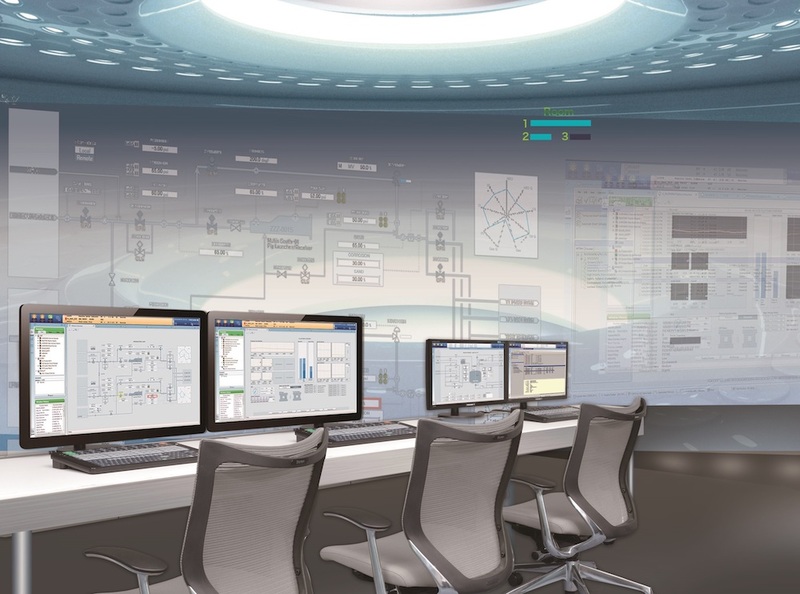 The OTS solution provided by Yokogawa has an interface that has been designed based on the object linking and embedding (OLE) for process control specification, or OPC, allowing a seamless connection between the OTS, the DCS, and third-party software such as an APC package. The interface is identical to that used on the PCS, and the database interface is identical to that for the plant's real-time database. The DCS configuration files can be directly downloaded to the OTS and configuration files that have been generated or modified by the OTS can also be directly uploaded to the PCS. A virtual control station running on the OTS can simulate up to four field control stations (FCS). The OTS can also be used to maintain, configure, and update the DCS interface and configuration logic. With the OTS, operators receive training that accurately and reliably simulates the experience of operating a real plant DCS. 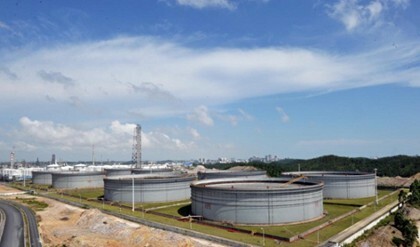 The Qinzhou refinery is located in southwest China, which has a subtropical oceanic monsoon climate, and intense thunderstorms are a frequent occurrence during the summer. To protect the analog I/O modules in the CS 3000 FCS cabinets and ensure stable, uninterrupted operation, the modules are all equipped with surge arrestors. This petrochemical complex has 50 crude tanks, nearly 90 product tanks, and a total of 7 berths for ships ranging in size from 3000 deadweight tons (DWT) to 100,000 DWT. To control the receiving of crude oil, product blending, and product shipping, Yokogawa provided an OMS solution. This greatly improves the safety and efficiency of off-site operations for gasoline on-line pipeline blending and diesel oil on-line pipeline blending, and ensures high product quality. In the pipeline, all blending components including additives are blended automatically and in the desired proportions, at the same time. To facilitate the transmission of quality blended products via pipelines for storage in tanks or direct loading for shipment, advanced automatic control equipment such as computers and online quality monitoring instruments must be used in the blending process. Pipeline blending has numerous advantages. For example, this reduces the need for component storage tanks, saves time by eliminating the need for intermediate analysis, saves time and energy by eliminating the need for pump operation and mixing, allows for airtight operation that reduces oil oxidation and evaporation, eases the changing of blending schemes, and ensures that personnel do not have to come into direct contact with toxic additives. The use of the Yokogawa OMS minimizes the amount of time that is required to unload and load a vessel, which has the added benefit of reducing the berthing fee that a ship operator must pay for the time that a ship is in port. Accurate blending and efficient loading and unloading operations are thus very much appreciated by the PetroChina Guangxi Petrochemical Company. This combined refinery and petrochemical plant complex has a total of 24,000 HART field devices from Yokogawa and other suppliers. Inspecting and maintaining all these devices using conventional means takes a lot of time. To improve efficiency and cut costs, this complex employs Yokogawa's PRM solution to remotely configure, monitor, diagnose, and calibrate these devices, and with FDT/DTM technology. PRM also enables automatic record management for all these devices. With PRM, operators can quickly identify whether any of the field instruments in this complex have maintenance issues that need to be addressed. This enables a proactive maintenance approach that eliminates unplanned shutdowns, extends equipment life, and reduces maintenance costs. A PetroChina Guangxi Petrochemical Company manager who is responsible for instrumentation, said, "Yokogawa provided not only the PCS, but also the OTS and OMS for the refinery. Yokogawa's engineering department was responsible for engineering, and their work was all well done. We selected Yokogawa to supply the control system because we consider them to be a first-class company in the PCS industry, with powerful engineering capabilities. During project execution and startup, and in a subsequent expansion project, Yokogawa's project team members worked together very well with our people. Since it was put into operation, the large oil refinery has been running very smoothly, without any problems. Compared to other equivalent facilities in China, our refinery has fewer plant operators and a much smaller workforce overall. We fully utilize the all functions of the CENTUM system and have used it to automate process operations as much as possible. This has all been made possible by the long-term stability and high reliability of Yokogawa's systems and the close cooperation with Yokogawa's engineering and technical personnel. We really appreciate the team approach taken by the members of the Yokogawa project team."